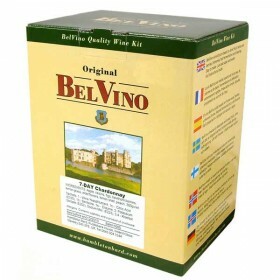 Belvino 7 day wine kits are based on dried fruit, herbs, and berries. The kits are extremely fast fe..
California White Belvino 7 day wine kits are based on dried fruit, herbs, and berries. The kits a..
Chardonnay Belvino 7 day wine kits are based on dried fruit, herbs, and berries. The kits are ext..
Classic red Belvino 7 day wine kits are based on dried fruit, herbs, and berries. The kits are ex..
Piesporter Belvino 7 day wine kits are based on dried fruit, herbs, and berries. The kits are ext..
South African Red Belvino 7 day wine kits are based on dried fruit, herbs, and berries. The kits ..